True Temper GS85 and GS95 are the lightest steel shafts available, delivering ultimate stability and consistency while providing an unique feel that sets them apart from every shaft on the market. 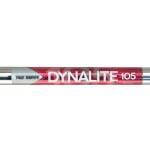 Promoting a high ball flight, these shafts are great for golfers seeking more distance. On sale now at $10.90 - was $24.95 - 56% OFF. 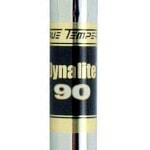 The light weight True Temper Dynalite Gold XP delivers "Xtra" trajectory and spin performance through a more responsive tip section, designed to optimize initial launch angle and maximize distance - 50% OFF. 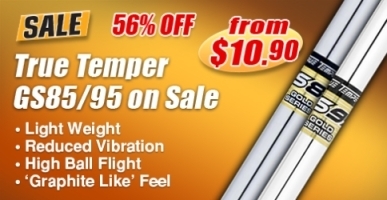 Right priced shaft for a replacement; great for stock replacement.